Graeme McDowell admits he is suffering from the "scar tissue" caused by his recent struggles as he tries to show his kids the form which made him a major champion and Ryder Cup hero. 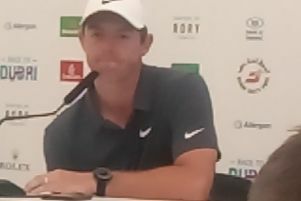 However, the 38-year-old's last victory came back in 2015 and the former world number four starts this week's Dubai Duty Free Irish Open at 175th in the rankings, having dropped outside the top 200 before finishing 12th in May's BMW PGA Championship. "I'm struggling with confidence," McDowell admitted at Ballyliffin. 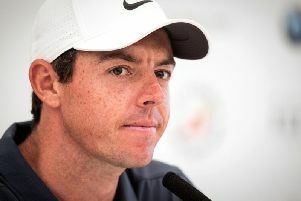 "It's that little bit of scar tissue that builds up over three or four years of not playing well. "You play your best golf when you don't care, when you practise really hard and really intensely and you get on the golf course and let it go and you play carefree. It's hard to play carefree when you've had three or four years of not playing well. "I feel like I'm one result away from having a lot of great results, but I just can't get that one result under the belt. "The desire's still there but my motivations are different. I'm out here because the legacy that I want to leave in the game, I don't want to go out like this. I'd really like another two or three years at the top of the game. "I have young kids and I have that visual of having my kids come on to the 72nd green of a tournament (after a win). That's what I want. "I want to show my kids that I am a great player and don't have to pull out the old DVDs. If they know what a DVD is, my kids. They probably don't. Pull it up on YouTube." "We established they were in Paris on Monday, but couldn't establish when they were going to get to me," McDowell added. "I had to withdraw from the Open qualifier on Monday night, much to the world of Twitter's dismay. They couldn't quite understand why I couldn't just go borrow a set of clubs and go shoot 65, 65 and qualify, which I could have done, I suppose. "The main point was it wasn't my last chance saloon. If it had then of course I would have went out there and gave it my best shot, but with three spots up for grabs this week and next week in Scotland, I felt like it was going to be an unnecessary risk to take with regards to preparing for this week."